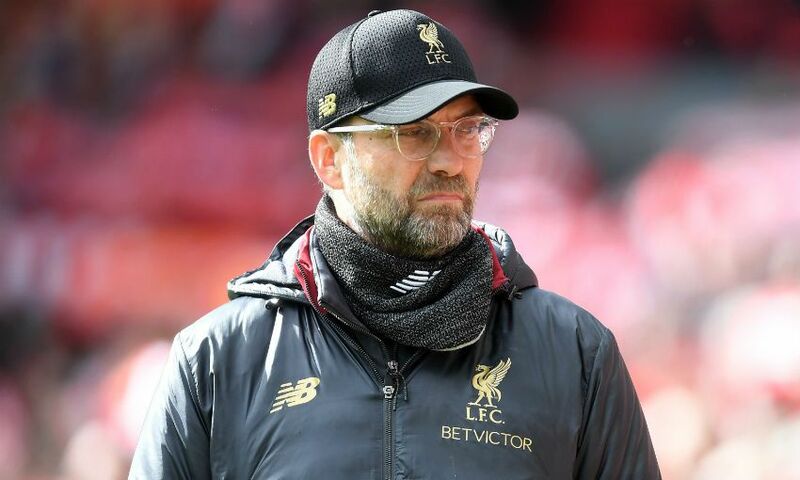 Jürgen Klopp revelled in a ‘brilliant result’ after Liverpool came from behind to beat Burnley 4-2 and move back to within one point of Manchester City at the top of the Premier League. 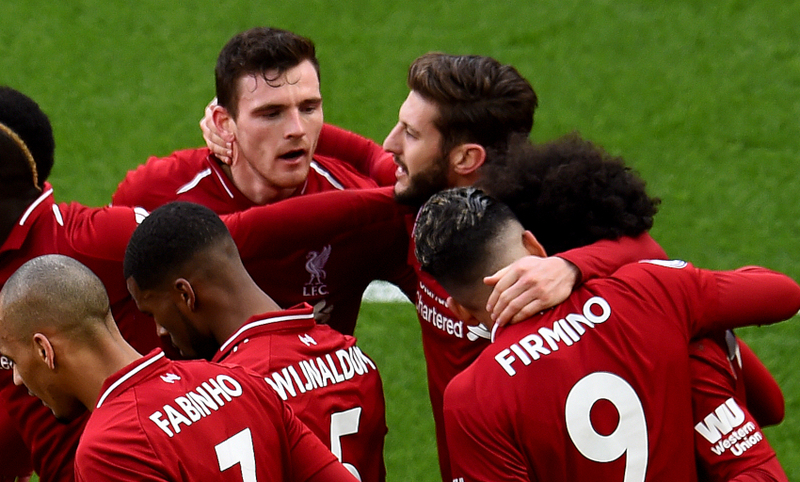 Roberto Firmino and Sadio Mane each scored a brace at Anfield as the Reds responded to Ashley Westwood’s controversial early opener direct from a corner in emphatic fashion. Johann Gudmundsson’s injury-time strike briefly made it 3-2, but Mane wrapped up a vital victory with his 50th goal for the club soon after. It was a good game. A difficult game but a good game. We all know it is always difficult against Burnley for different reasons – and today there were a few more circumstances together that made it even more difficult. One of them was the early goal we conceded; usually it would have been disallowed if Andre [Marriner] has a better view of it, I don’t know exactly. I saw in the first moment it was a foul and now I have seen pictures you cannot treat the goalie like this, it should not happen, but they scored. The good thing was it was early, six minutes, so enough time to react, enough time to turn it around and that’s what we did. We had the ball pretty much all of the time, we created, I think we had 23 shots or something like that versus three, two of which were in. Wonderful play for [our] first goal, a little one-two in the box, Mo presses it through, Bobby easy goal. The second one, Adam Lallana fantastic counter-pressing block, Sadio could finish it off. The third one I think would have been a penalty but Bobby is there again. Then, of course, they scored the next one; I think it was a foul but there were more serious fouls in the history of football. We have to react better. I haven’t seen it back, but while the ball bounced in our box, Crouchy was now on the pitch and I think he was involved somehow, nobody could defend the ball really well and they scored a second. It becomes a bit tricky all of a sudden, but the boys reacted well, scored a fantastic fourth goal – really nice. I think if Sadio goes down it is again [a penalty]. It was good, 4-2, brilliant result. We knew it is really difficult against Burnley, it always is for us but most of the time we could win [the games] – and we always felt the work we did. That’s how it should be, all good. It is very [important] but it wouldn’t make sense if I put now more pressure. The last part of the season is the decisive part of the season, for all of us it is the same. I have always said, to win something, you always need to have a bit of luck. I think if Andre Marriner had a better view of the situation he probably would have whistled it, I think, you have to ask him – or if he thinks it is completely fine like that, I don’t know. It is always influential, but it doesn’t help if we now put more pressure on [them]. I think they try everything to whistle in the right way… There will be other tricky situations until the season is finished and we have to make sure we do enough in the right way so it’s not too influential for us. We had a long training week and a lot of sessions, and I said at the beginning of the week it is possible to show up. You don’t have to say that because anyway it is clear, but maybe in the situation when you play a lot of times with 12, 13, 14 players, it’s important that the boys know it and Adam used that. Not only Adam, but Adam especially, so in the end it was clear that if he could play like he trained then he would help us a lot and that’s exactly how it happened today. We all know it, he’s always good on the ball and all that stuff, he is as well a pretty aggressive boy so the counter-press situation [ahead of Mane’s first goal] is a game-changer. It was a brilliant thing in that moment – it didn’t look really promising until Adam jumped in that situation. So well done, well deserved is all the praise for today. I’m really happy for him. Today it was important. We scored two weeks ago five goals and then we didn’t score against Everton and everybody asked me about offensive or more offensive line-ups. I think next time if we don’t score you will ask that again. That’s how it is, of course four goals are very important [but] what has that got to do with the Bayern game? I don’t think it’s easy to score there four. We have no problem with confidence. We did not have problems with confidence after the Everton game. You don’t have to think that all that you write has an influence on us – it’s not like that, most of the things are not interesting to us, that’s the truth. So you make a big fuss when we score five and we are the best attacking side in the world, then we scored nil and we have an offensive problem. Today, for me Mo Salah was the best player on the pitch and he did not score. I’m not sure that you will see that in a lot of ratings, because he’s a striker and didn’t score so then you make of it what you want. But we have no problem with confidence. We are in a good moment, I said that before. But that means we need all the players, we need to have them fit and on the pitch and stuff like that. We have again little injuries, Millie was not able to be involved today, Dejan was not planned to be involved today but he was on the bench after training only twice but we had nobody else – well, the kids, but they played for the U23s. So, just do the job and that’s what the boys did all the time, not always with the result we wished for but that’s probably the most you can say about everybody in the league. We have to only make sure we stay in a really interesting competition at the top of the table. Our message for today is that nobody gets rid of us if we play as we played today, because we had the perfect mixture of fighting the opponent, fighting the circumstances and playing football. That was really good, I liked it.